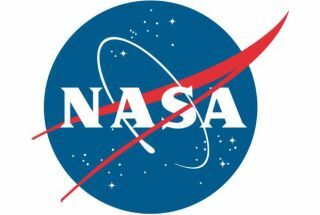 The government shutdown brought research at NASA facilities around the United States to a standstill when it went into effect on Oct. 1. At the space agency's Ames Research Center in Moffett Field, Calif., research at all stages of development has been put on hold while a skeleton crew of employees keep only the most essential projects on track during the government shutdown. "I was supposed to be attending an international conference on artificial gravity to be held at Ames Research Center where scientists from all over the world were coming to discuss potential future technologies that could provide artificial gravity and therefore mitigate some of the problems of long-duration spaceflight," Stone said. "That conference was canceled and all of the potential benefits lost." Stone also explained that the testing of a new tail design for a 757 airplane has also been put on hold by the shutdown. Ames has also been looking into the cause of the crash of Asiana Flight 214, which occurred in San Francisco in July. That work is also suspended. Other scientific programs with international collaborations are also interrupted. "The Stratospheric Observatory for Infrared Astronomy (SOFIA), which is a 747 airplane with a huge telescope on it, had a number of flights that were scheduled," Stone said. "Of course we have collaborators all over the country and it's an international project with major German collaboration from the German Space Agency. The flights are grounded, so all of that potential was lost." Some of that "lost potentially" could be new research involving Jupiter's icy moon Europa. Astronomer and planet hunter Mike Brown was scheduled to fly aboard SOFIA to observe the mysterious moon, but the flight didn't get off the ground. "Um, no, SOFIA is shut down," Brown (@plutokiller) wrote in a post on Twitter. "Europa is still there, but we, on the ground, will learn nothing except for the fruits of stupidity."